Companies of all varieties are constantly looking for an edge when it comes to profitability and efficiency. This means ensuring workers are performing their duties as efficiently as possible, but also guaranteeing the equipment that is being used is designed in such a way to reduce potential bottlenecks. One way organizations can look to streamline the day-to-day operations of their business is through automation. While automation is an extremely broad term, in our line of work it revolves around ensuring our industrial scales are able to help businesses of all varieties perform certain functions in an automated fashion. This in turn helps to reduce labor costs and ultimately boost profits. What Does Arlyn Scales Know About Scale Automation? At Arlyn Scales, we’ve been a leader in the scale industry for more than 30 years. In this time, we have seen quite a few innovations and have worked hard to ensure our high quality scales continue to meet, and indeed, surpass the needs of our customers. One of the areas where our customers were most often looking for additional features surrounded scale automation. To meet the needs of our customers, we’ve added a number of automation features that should be welcomed by any organization looking to streamline the functions and the capabilities of industrial scales within their facilities. It’s important to realize that scales can do much more than just weigh items; they can help you and your team automate all sorts of functions within your facility that can be triggered based entirely off of weight values. Below are just a few of the ways that you can leverage one of our industrial scales to make your entire business more efficient and profitable. 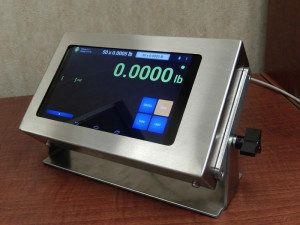 One of the most useful automation features of our industrial scales is the setpoint controller. To put it simply, a setpoint controller helps your organization automate a variety of functions that can control the filling, dispensing and batching that takes place within your facility. If you think about the massive amounts of time that your employees are currently spending performing these functions, you’ll quickly realize the savings that can be achieved by using a setpoint controller. Regardless of the type of scale you purchase from Arlyn Scales, it should have the ability to add a setpoint controller. The setpoint controller is capable of storing up to 8 weight values and can be triggered to perform programmable logic (PLC) functions, mix and dispense materials, and perform automatic filling as well. When a certain stored weight value is reached, an alarm can go off, or an email can be sent to let you know the process has been completed. Mixing Materials – Use the setpoint controller to mix a variety of materials such as paint or other chemical compounds. Automate the entire process by setting a weight value for each component, which should allow the setpoint controller to create a highly accurate mixing formula. Filling Drums With Liquid – With the setpoint controller you can automate the filling of drums. The key is to set two different setpoints – one that is near the target weight and another than is at the target weight. These two different setpoints allow you to slow down the flow of liquid material by slowing the motor controlling the flow and eventually stopping it completely. In addition, you can use the reverse process to remove liquids from a drum. For years, the process of accurately recording scale data required significant human intervention. Individuals would have to sit by a scale and manually record weight readings over and over again. This process caused all sorts of errors when weight data was transcribed. Thankfully by purchasing an industrial scale from Arlyn Scales, you can do away with the pen and paper you’ve used to record weight data for so long. Instead, you can utilize our scales to automatically generate weight data that can be imported into all sorts of database and spreadsheet tools such as Microsoft Excel and Access. Weight data can be easily stored in CSV files, which are instantly accessible through all types of computer programs. USB – Simply connect a USB cable between your scale and computer and instantly access any weight data that is stored on your scale. Ethernet / WiFi – With an Ethernet or WiFi connection you’ll be able to access and control your scale from your office, as well as anywhere that has an active Internet connection. Datalogging – You can use our datalogging functionality to save scale data to an external USB drive for times where computer access may not be available. RS232 – While an older technology, RS232 allows you to quickly and reliably connect your scale via a serial connection. Ready to Utilize the Power of Automation Control Systems? We hope that the automation examples outlined above will give you a good idea of the wide array of features available to you as a scale owner. If you’re unclear about any of the topics covered here, feel free to reach out to our team by phone today at 800-645-4301 or through our online contact form.